Competence in principles of clinical research is equally important to all healthcare professionals – whether they are well-established clinicians, long-standing clinician scientists, or novice clinical researchers. They need to be proficient in understanding and deciphering the medical literature. 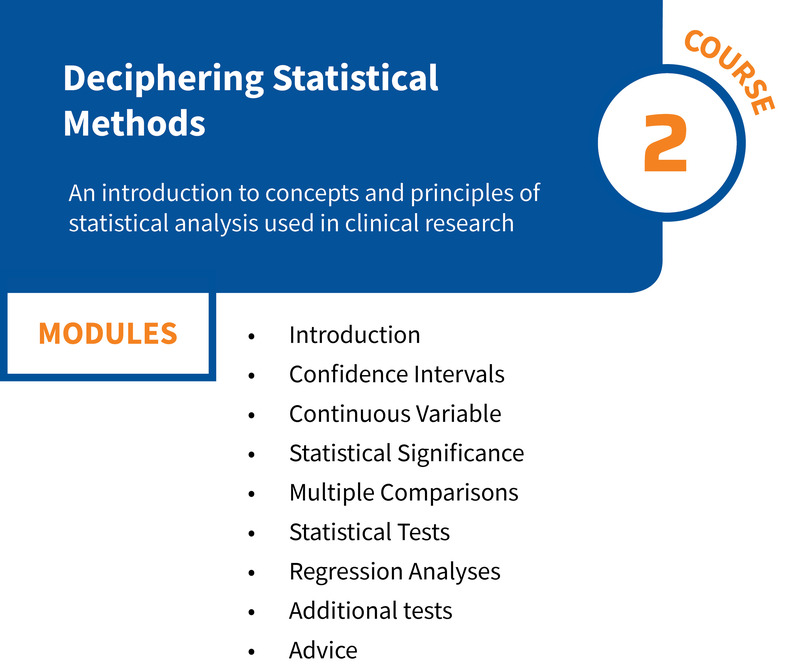 This proficiency provides them with skills to evaluate the strengths and weaknesses of the information base of clinical decisions. With the introduction of Evidence Based Medicine, this has become more relevant than ever. 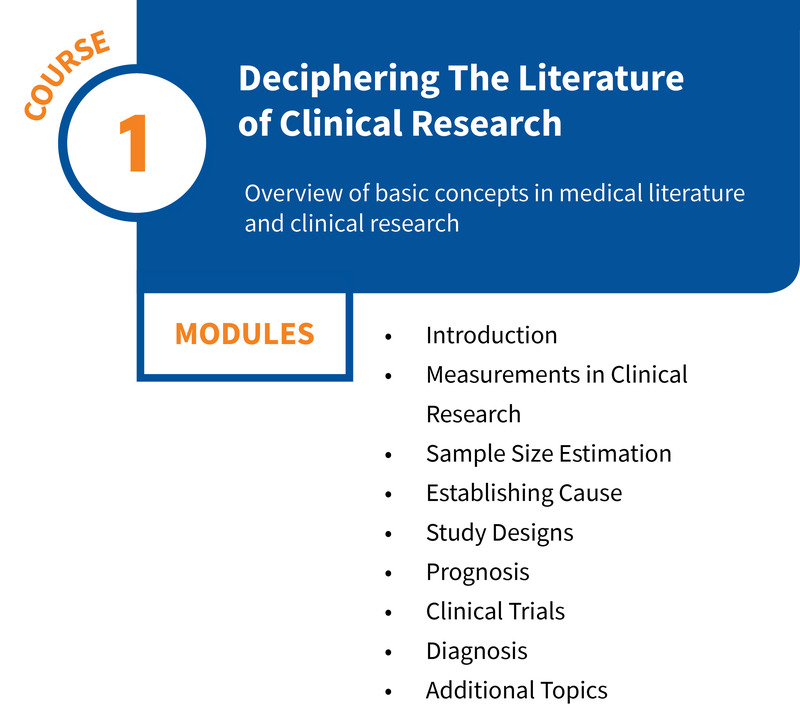 Furthermore, for healthcare professionals striving to include clinical research as part of their careers or for those who are already committed to clinical research, it is essential to hone their skills in clinical research. 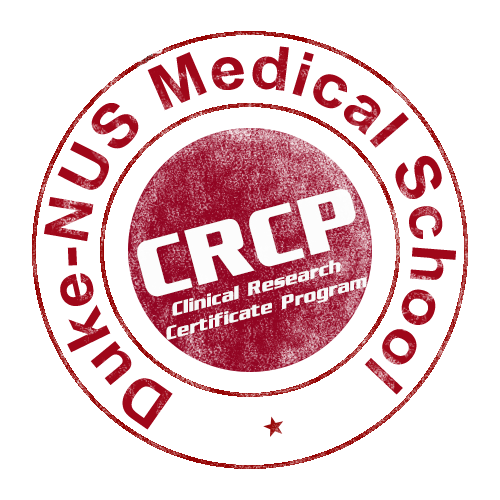 This program offers the opportunity to become competent in understanding the medical literature, initiating clinical research, and conducting clinical research studies. 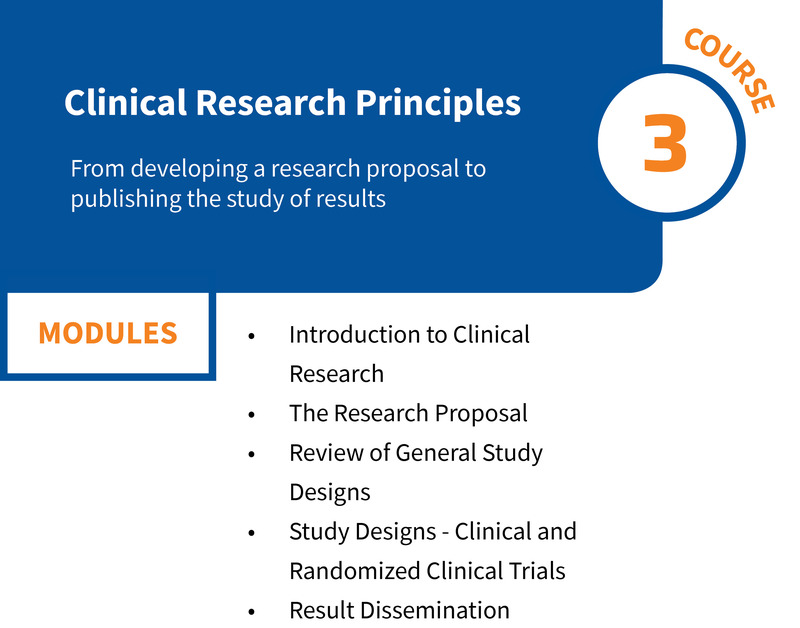 The program contains three different segments (Course I to III) from a basic overview of most common methods used in clinical research to more advanced concepts of clinical research design and methods. The entire program can be done online and consists of three courses with assessments throughout the different courses to assess the learning progress of the participants. Multiple choice questions after each topic will gauge the understanding of participants. After completion of each course, the participants will have the option of obtaining certification of completion. This program is geared toward those with a background in an area related to healthcare, including students and professional in areas including medicine, pharmacy, nursing, nutrition & dietetics, physical therapy, occupational therapy and any other field related to health care.